Who doesn’t like those yummy rotisserie chickens you can buy at the store? (If you eat meat, that is) But, they are loaded with salt and fat, so they are not the healthiest option. But then again, they are so, so good. 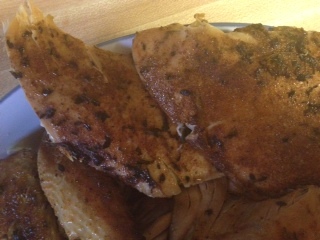 When I saw the recipe for rotisserie-style chicken in Stephanie O’Dea’s “Make It Fast, Cook It Slow,” I had to try it. I had a chicken from Farmer Kim’s farm in my freezer. So, out came that wonderful tool, the slow-cooker! To make this a healthy recipe, you actually remove the skin from the chicken before cooking. 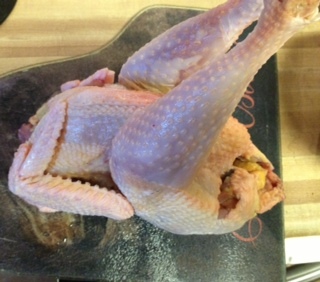 This is a bit of a pain, but the skin is really not needed for the flavor of the bird. I also did not worry about getting the skin off the drumsticks or wings, that was a bit more effort than I wanted to make. There is also very little salt used, but the flavor of this bird is almost dead on to the high fat, high salt ones from the store. The longer this cooks, the more tender the meat becomes. 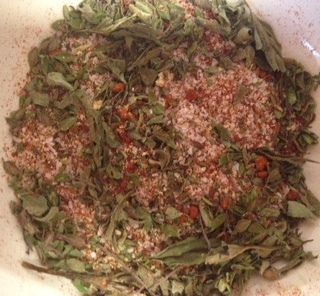 In a small bowl, make the rub – combine all the spices (salt through black pepper) and mix to combine. Remove gizzards from chicken, remove skin. 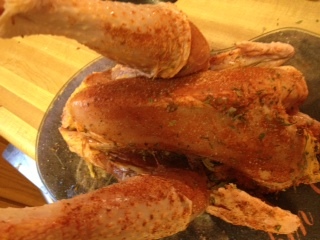 Rub the seasonings all over the chicken, inside and out. Place the cloves in the cavity. Place the chicken in the slow cooker, breast-side down. Cover and cook on high for 4 to 5 hours or low for 8 hours. Remove from slow cooker and cut into serving pieces. 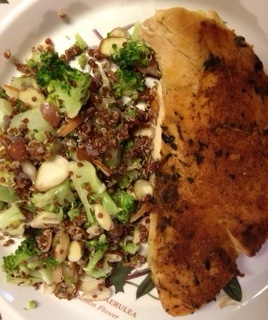 We had ours with a side dish of quinoa, broccoli and almonds.